Our F&I team are hand-picked financial wizards. They know how to work with you to get your dream car. Any make, model, trim, bodystyle – we can handle it all. Our trained and certified technicians are the best around. The reliability, performance, and ergonomic design you expect from a Mercedes-Benz vehicle. All in a package perfect for your business needs. We are the Mercedes-Benz dealer in SLO. 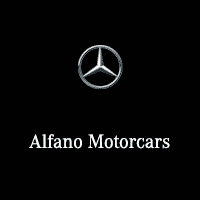 Alfano Motorcars Mercedes-Benz has been serving San Luis Obispo since 2012, and our owner, Charlie Alfano, has over 25 years of experience working in the industry. If there is something that you want from Mercedes-Benz, we are the dealership that you can count on. We have all the most popular new Mercedes-Benz models including C 300, E 350, E 400, GLC 300, and more. If you are looking for a C-Class, E-Class, or G-Class Mercedes-Benz, then you have come to the right place. We also carry higher end Mercedes-Benz models including models bearing the AMG® badge. On top of that, we even have Sprinter vans. It’s safe to say, that if you need a new Mercedes-Benz in the SLO area, then Alfano Motorcars Mercedes-Benz is your place to go, but we also offer so much more. We have a pre-owned selection that has a wide variety of makes and models, and we even have a Certified Pre-owned Mercedes-Benz selection that still comes with all the benefits of a factory warranty. Our service center can also take care of all your Mercedes-Benz needs. With all that our family owned dealership has to offer it’s no wonder why people come to us from all over the San Luis Obispo area including Santa Maria, Paso Robles, Santa Barbara, Pismo Beach, Lompoc, and all points in between. With our location right on the freeway, we are probably closer than you think, so drive down to see us today, or browse our online inventory right now.